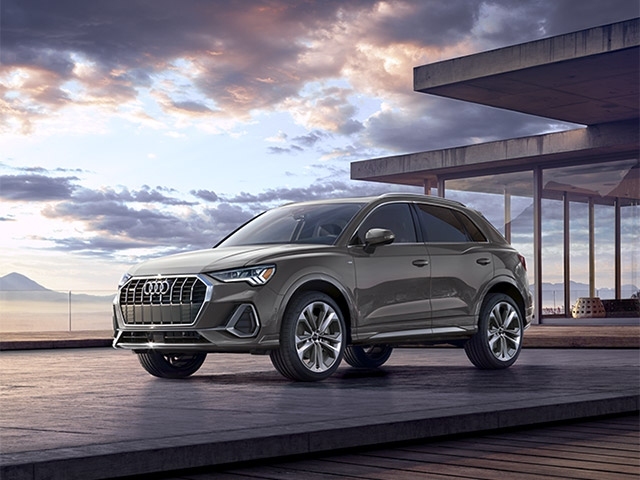 HERNDON, Va., April 15, 2019 – Building on the success and rapid growth of the premium compact-SUV segment, Audi of America will introduce the all-new 2019 Q3 at this year's New York International Auto Show – the second generation of one of the brand's best-selling models. The Q3's fresh, athletic face reflects the brand's new SUV design language as introduced on the Audi Q8. The all-new Singleframe grille with an octagonal design, features vertical chrome slats, emphasizing the vehicle's more substantial front end. New, more aggressive headlights flow from the grille into the strong shoulder line, which integrates seamlessly with the wide, pronounced wheel arches and underscores the vehicle's standard quattro all-wheel drive. At the rear, standard LED taillights echo the horizontal architecture from the front of the vehicle. 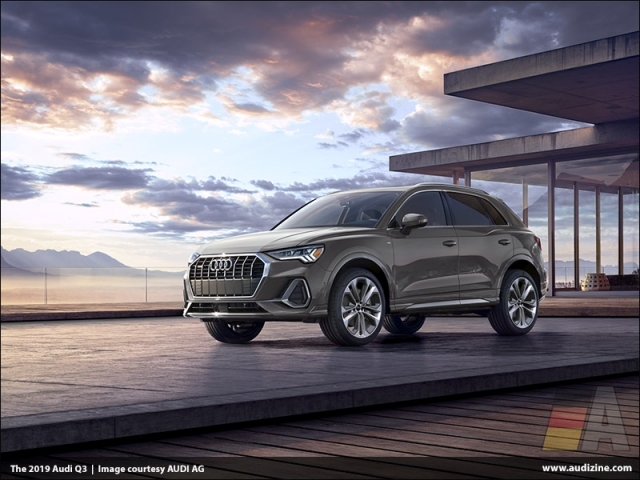 Supported by an integrated roof spoiler, the steeply inclined D pillars compliment the vehicle's athletic appearance and give the Q3 a distinct SUV stance. Standing 1.5 inches taller, 3.8 inches longer and nearly an inch wider than its predecessor, the new Q3 is more substantial on the outside and offers more useable passenger and cargo space inside. The interior design of the Q3 takes advantage of the brand's all-new design architecture, built to showcase an evolution in Audi digital precision and seamlessly integrate more useable technology. The interior controls are angled toward the driver, creating a driver-centric cockpit. The central elements are a standard 10.25 inch (available 12.3 inch) digital instrument cluster, alongside a standard 8.8-inch (available 10.1 inch) MMI® touch response display. These control the infotainment functions and seamlessly blend into the black panel stretching across the dashboard. Rear seat passengers can also enjoy improved second row comfort, with a standard 40/20/40 split folding, sliding and reclining seatback offering more overall room than the outgoing model, as well as two standard USB-A charging ports. The rear cargo area is not only larger than before, it's also more flexible. An adjustable load floor can be set at two different heights, allowing the driver to choose between larger under floor storage or more vertical space in the cargo area. Available Sport Interior package (available on Premium Plus and Prestige trims of the Q3 S line quattro) enhances the vehicle's already sporty interior with S line® sport seats in Black or Rotor Gray leather with contrast stitching, steering wheel shift paddles and Brushed Aluminum, matte inlays. Available Audi phone box connects smartphones with the vehicle's antenna and provides a signal boost, and can charge compatible phones inductively.